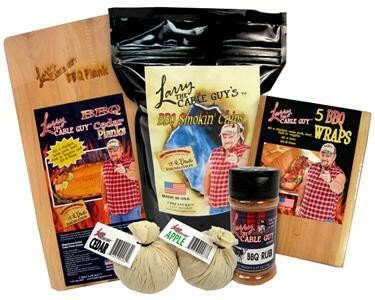 The Chef Locke 10-Piece Larry the Cable Guy Jumbo Gift Set is the perfect gift for the barbeque enthusiast. 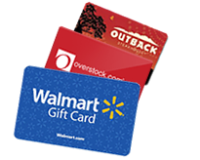 It includes 5 Gourmet Cedar Wraps, 1 Bag Cedar Smokin' Chips, 2 BBQ Smoke Bombs, 1 Rectangular Plank and 1 Seasoning. Simply soak the smoke bomb in wine, water, whiskey, fruit juice, or any liquid of your choice, then place in the barbecue with your food for a delicious smoked flavor. The plank and wraps are ideal for barbecuing chicken, pork, beef, fish and vegetables.